The room wasn't exactly what we booked but still nice. Would have been perfect had the elevator been working and the pools heater fixed. Ran into maintenance and they said they "just didn't want to get to it", which was a little disappointing. Otherwise it was clean and we enjoyed our stay. 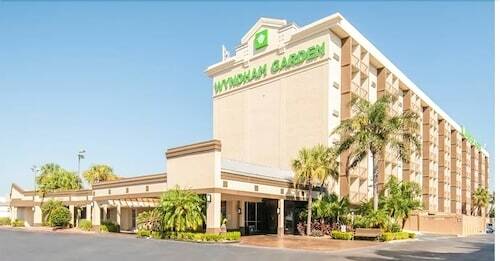 I LIKED ALL THE AMENITIES AND THE STAFF WAS GREAT AND VERY FRIENDLY AND HELPFUL AND COURTEOUS. THE ROOM WAS OLD BUT CLEAN AND HAD PLENTY OF HOT WATER. OVERALL IT WAS A GREAT DEAL FOR THE PRICE AND VERY CONVENIENT TO OCHSNER HOSPITAL WHICH WAS WHERE MY WIFE HAD SURGERY. It is a little dated but the room was clean, quiet, comfortable, and large. For the price we paid I would say it is above average. I really like hotels where I can stay on the first floor and the doors are outside of the building so that I can park my truck at the door. The staff here were pretty rude. I just made the best of it though. Breakfast was basic nothing special, and no hot food. So you're kicking around the idea of a getaway to Metairie? If you want a place to hang your hat that's located near some Metairie attractions, just go to Orbitz, choose your travel dates, and voilà! Look through the list of hotels and other accommodations to identify those that are located near what you want to see while you're in the area. 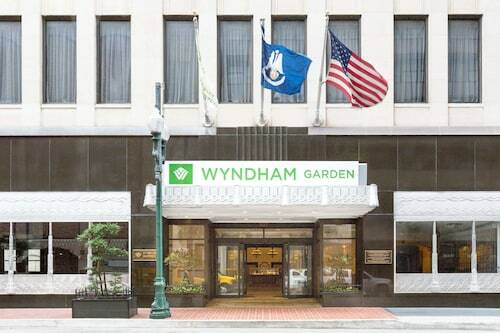 We make it easy to find a convenient flight to New Orleans, LA (MSY-Louis Armstrong New Orleans Intl. ), which is 6.5 mi (10.4 km) from the city center. Find the perfect flight in a flash by using the filters on our site to narrow down your search. Go swimming when you stay at one of these Metairie properties, noted for their pools. What's the Weather Like in Metairie?